Outrigger Kit for backboards. This kit is good for up to 28' of 4' tall backboards. 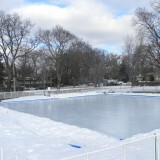 Iron Sleek Outriggers make building a rink on highly pitched sites a simple reality and they also make it easy to put up 4' backboards. 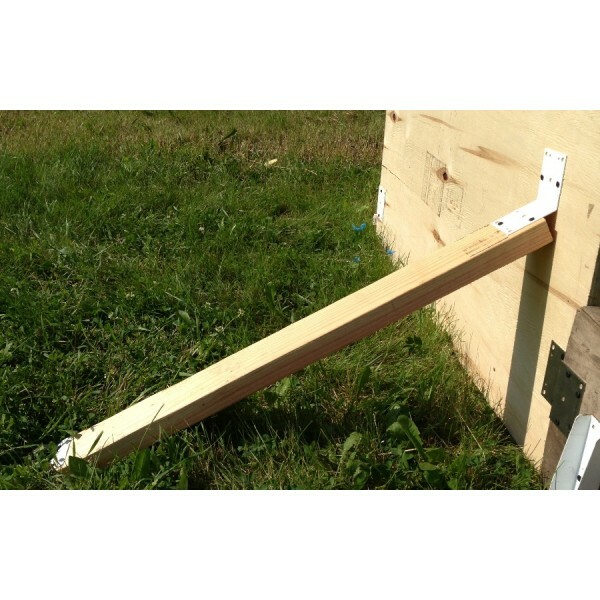 The Outrigger kit comes with 2 key components and hardware that get attached to a standard length 2 by 4 (see instructions). 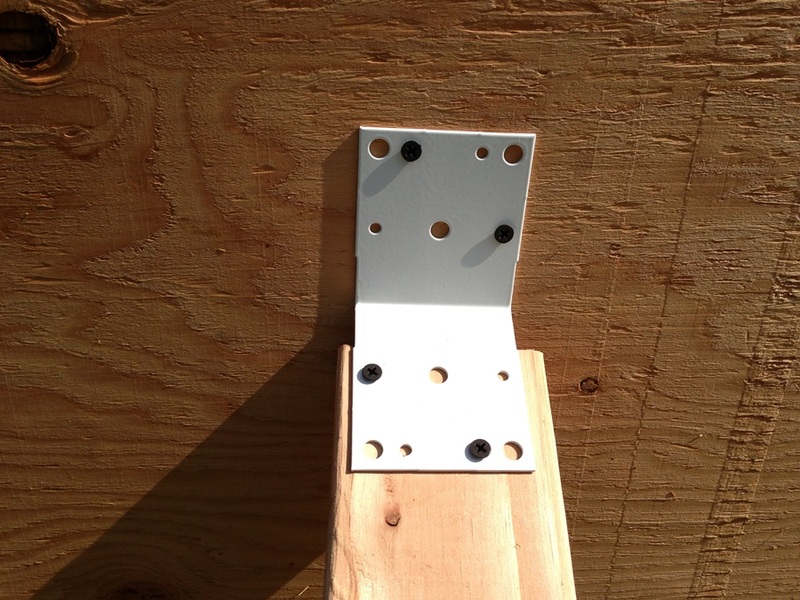 With Iron Sleek outriggers brackets, you can accomplish the same results that only skilled carpenters can produce with precise angled cuts and miters without even attempting a single cut. 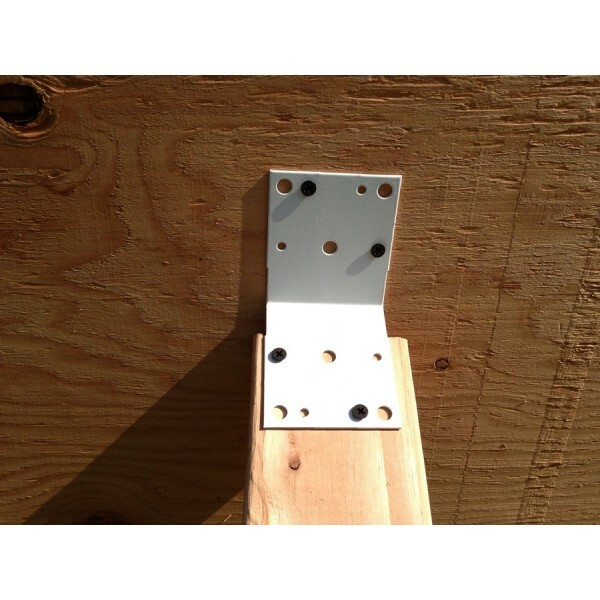 Simply mount our precision angled outrigger brackets to a 2 by 4 and you are set. Not Cuts, No Hole Drilling. 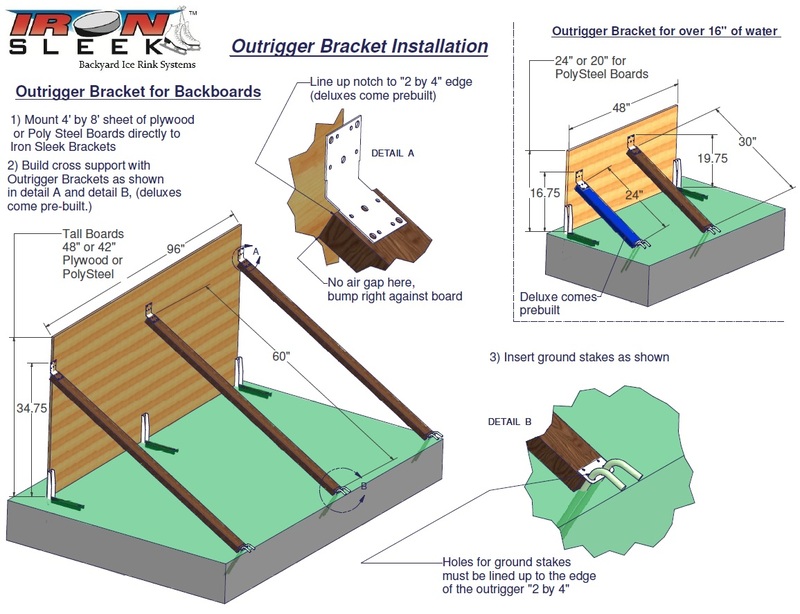 The Outrigger bracket opens up a world of possibility for rink building and it is quick and Easy. Like all Iron Sleek Components, they are made of Cold Rolled Steel, include hardware, and are powder coated in appliance quality white. 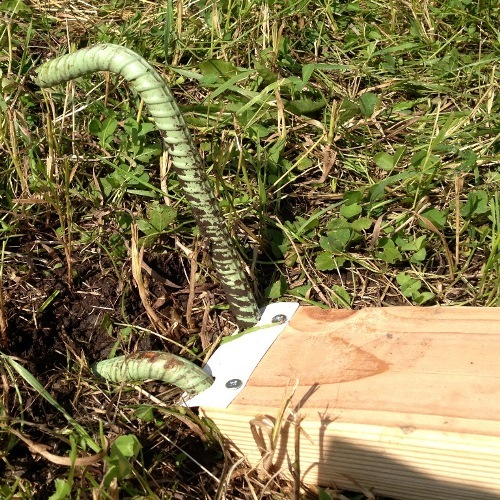 Ground Stakes and 2" X 4" not included in this kit.